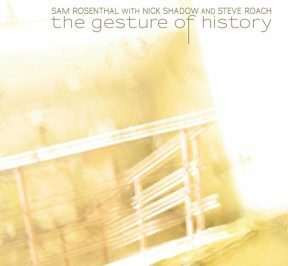 There’s 2 weeks to go on my crowdfunding campaign for The Gesture of History, an ambient collaboration I created with violist Nick Shadow and synthesist Steve Roach. You can pledge to make this CD/LP exist. Backing there is sort of like preOrdering, it’s a lot like being a patron of the art. Your contribution goes to manufacture the LP (black or gold), the CD, a royalty for Steve and Shadow, mastering costs, shipping supplies, the fees, etc. Yesterday I posted an update with info on two new premiums, and also a short conversation in which Steve asks me a few questions about running a campaign. We’re 52% of the way to the goal. Please contribute if you can, to help push us over the top. Thanks. 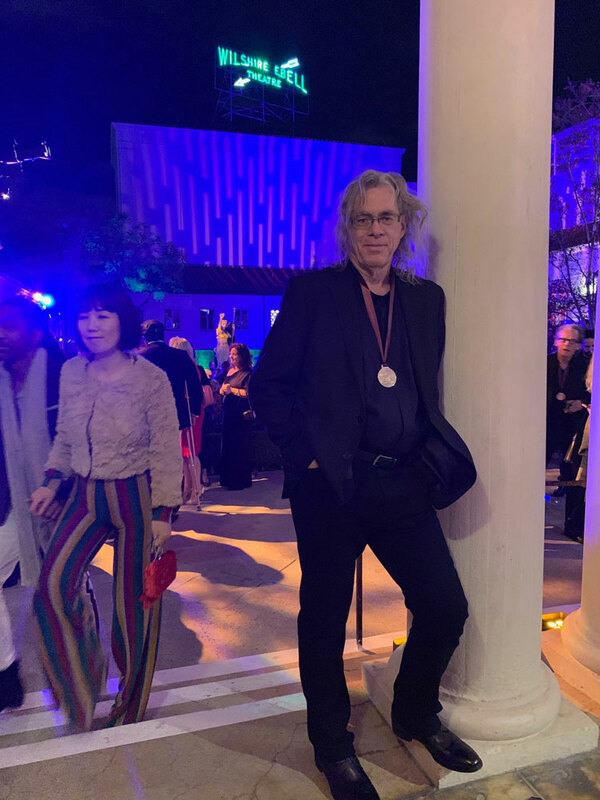 Tucson-based electronic/ambient pioneer Steve Roach received his second Grammy nomination with 2018’s Molecules of Motion album. Chosen in the Best New Age Album category, it follows last year’s nominated Spiral Revelation. For Molecules, Roach calls upon an expansive 35-year legacy at the forefront of electronic music creation on a masterful album with roots in the Berlin School and a foot in the transcendent unknown of the future flowing into the present moment. Shimmering, pulsing, moving, emotional and engaging, the album is a sonic marvel: a tapestry of sequencer-spun patterns floating upon an atmosphere of lush emotive textures alive with a vibrant, life-affirming glow. Always reaching towards what’s next on the horizon, Roach refuses to be tied down in any one stylistic direction. His worldwide audience continues to grow, and his innovations continue to inspire new and long-time listeners. Listening to a Steve Roach album, you hear the momentum of a lifetime dedicated to the soundcurrent, an artist operating at the pinnacle of his artform, with dedication, passion and an unbroken focus on creating a personal vision of electronic music. Roach’s hypnotic meditations upon elegant motion and electro-sensual space makes Molecules of Motion unlike anything nominated for a Grammy this year. It’s just one facet of the multi-faceted soundworlds that are paramount to his work. 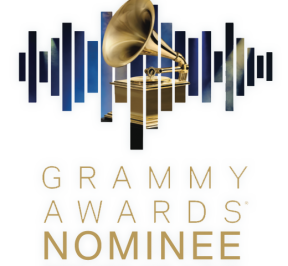 Projekt Records’ Steve Roach was nominated for a GRAMMY for the 2nd year in a row! His 2018 Molecules of Motion has been nominated for Best New Age Album of the year (the Grammys don’t have an “electronic music” category, so a wide variety of styles are placed within New Age). Around this time last year, we were telling you about Steve’s 2017 Spiral Revelation getting nominated for the Grammy! It’s a wonderful second opportunity to claim the prize. The award ceremony is in February. Steve Roach is nominated for his second consecutive Grammy Award, for the album Molecules of Motion; it’s in the Best New Age Album category. Steve travels to Los Angeles for Sunday’s Premiere Ceremony. Over the weekend he will post updates on his Facebook page. I’m really quite curious what it’s like when an independent artist goes to the Grammys! I talk with Steve all the time, discussing his albums that we have in production for Projekt and Timeroom, albums that he’s started working on, the music business, creativity, and so much more. Getting nominated for a Grammy was never on the list of things we talked about… until last year’s nomination for Spiral Revelation. Well, that was interesting, I thought. Then nominated for the second year in a row? As Steve says, lightning struck twice. Steve has dedicated so many years to his art, I totally think he should have a Grammy! And so do his listeners! I regularly get emails and read facebook post from people who were monumentally touched and affected by Steve’s music. I know there’s love out there from all of you. But from the music industry? I know the biz is very focused on big sales, and flashy promotion…. Though Steve did get to the final-5 twice, so that tells me the voters are listening and know Steve’s work. Winning an actual Grammy award!? As I said, it’s was never on our radar. Sunday afternoon! Let’s see what happens! There are over 80 categories in the Grammys; most awards are not televised in the primetime event. Instead they can be watched in the streaming afternoon ceremony. Their website says: Kick off Grammy Sunday, Feb. 10, by kicking back and streaming the Grammy Awards Premiere Ceremony on GRAMMY.com. Starting at 3:30 p.m. ET / 2:30 p.m. CT / 12:30 Pacific, host Shaggy will lead us through the festivities, with all-star presenters such as Lzzy Hale and Questlove and can’t-miss performances by Ángela Aguilar, Natalia Lafourcade, Sofi Tukker and more. Steam on-line, or check out Steve’s Facebook page with updates from the weekend. After last year’s surprise nomination for Spiral Revelation — and with this year’s nomination for Molecules of Motion — a lightning bolt hit the tree again. Last weekend’s award ceremony in Los Angeles presented a nearby adventure to visit what felt like another planet. It’s a planet I know well, having lived on the front lines in LA, the city of ambition, for 10 formative years from 1979-1989. Throughout the Grammy weekend the flood of memories was constant. From my first drive up from San Diego in 1979 in an old yellow VW Bug with the seats removed and filled to capacity with synths, to the endless concerts over that decade throughout SoCal, to jobs at record stores on Sunset Blvd and Wilshire, to a stint as a microbiology lab tech — these were just a few of the threads woven together to support my dream of creating this music day and night. Regular trips to the Joshua Tree Monument to feed my desert soul were vital and helped birth Structures From Silence, Western Spaces and Dreamtime Return. These were just some of the things coming up while sitting in the Microsoft theater for the afternoon Grammy award ceremony, surreal and resonate on many levels. The idea of the Grammys connected to my music has never been on my radar. 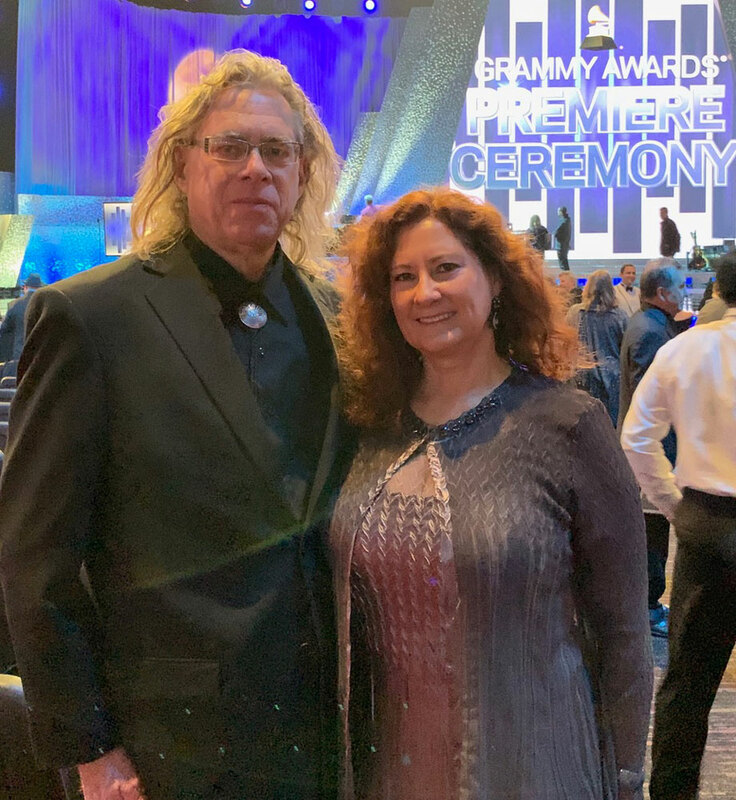 It all started with confidant, long time friend, and mastering-guru Howard Givens, a voting member of the Recording Academy; in 2017 he quietly submitted Spiral Revelation for consideration. Sam Rosenthal at Projekt and I knew nothing about this until the morning in late 2017 when the emails about earning the nomination started pouring in. 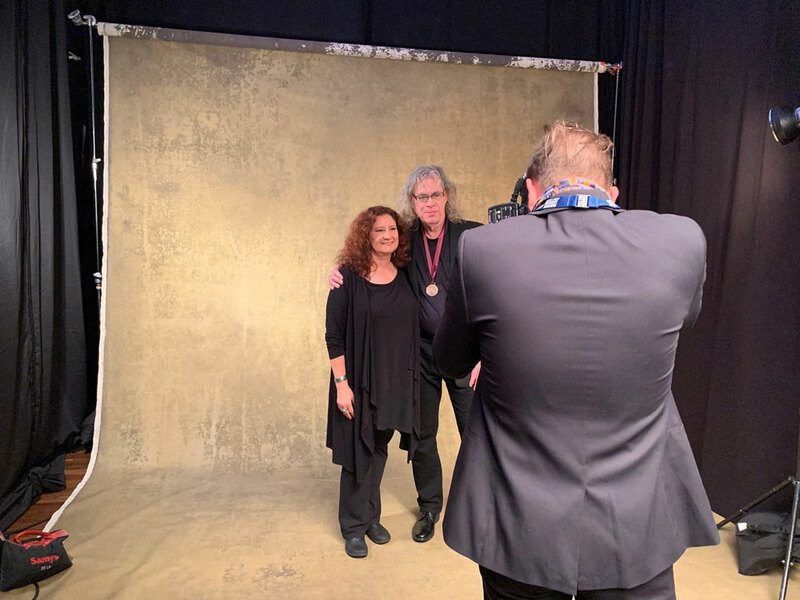 With the January 2018 awards in NYC — and my concerts gearing up around that time — the priorities were clear about going to NYC: not possible. Sam became a voting member last year and submitted Molecules Of Motion as a “why not try this year and see?” and that was that, I was nominated for the second consecutive year. While the Grammys mean something or nothing to different people, the fact that these albums were voted into the top 5 nomination list twice — with absolutely no campaign on our part — speaks of a real beating heart inside the Recording Academy / Grammy organization. I had no expectations of the outcome this year. Just grateful for the wider recognition and awareness the nomination brings to my music and life’s work. The weekend was really about feeling the momentum of living life on the creative edge for the last 45 years. There is no winning or losing in this realm. It’s about being fully present, embracing the moment and tuning into what’s next as it’s happening with grace and courage. I have been so blessed to share every molecule of all this with Linda Kohanov since 1989. Gratitude abounding to the community of soundcurrent friends around the world who have been with me on this journey of one which includes so many.